A new augmented reality art exhibit from Snapchat has prompted outrage from a group of New York-based artists who believe the social media giant is looking to do just that through its latest use of immersive technology. 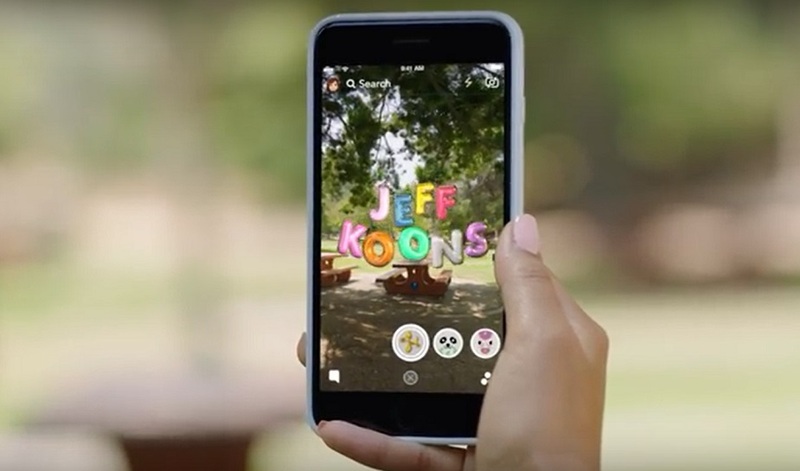 Produced in partnership with American artist Jeff Koons, who achieved fame through his reimagining of everyday objects such as balloon animals, Snapchat’s creative AR art platform was unveiled in early October. The activation is seeing art being virtually ‘pinned’ to specific locations in major cities around the world – including New York’s Central Park, London’s Hyde Park, Washington DC’s National Mall, Toronto’s Roundhouse Park and the Sydney Opera House in Australia. By holding their smartphones up to the right spot, Snapchat users can see the giant works of art for themselves, take photos and share the unique experience with their friends. 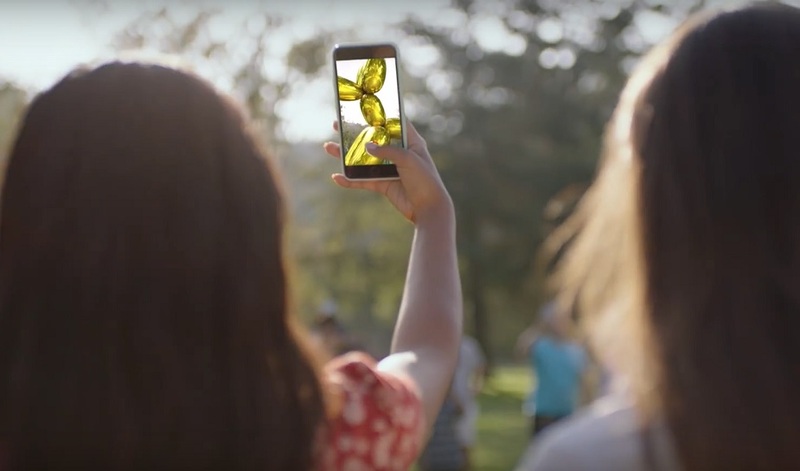 Koons’ belief is that “creative experience brings us together”, and the activation from Snapchat makes novel use of a technology that really burst onto the mainstream for so many with the staggering popularity of Pokémon Go last year, and that continues to be used by big brands ranging from IKEA and Toys R Us. But the campaign has already come up against its fair share of critics within artistic circles. Mere days after its public launch, a group of artists mocked up a “vandalized” version of Jeff Koons’ 3-storey high giant balloon dog, in protest of the ability of large corporations – such as Snapchat – to erect digital art and secure consumer buy-in, with the opportunity to monetise the same offering at a later date. Graffiti artist Sebastian Errazuriz led the backlash – posing the question of whether a corporate-led augmented reality experience, one that deftly straddles the real and virtual world, should face the same governing regulations as physical spaces undergo when rented out by firms. It sure is a head-scratcher, and one that we’re unlikely to have an answer to anytime soon. But Snapchat’s adoption of this ever-evolving technology, and the level of anticipation and buzz that this AR art display has generated, proves that augmented reality still has a big role to play when it comes to delivering powerful, memorable and magical brand experiences.